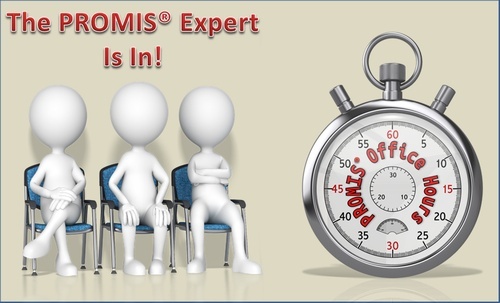 Wouldn?t it be nice if you could just sit down with a PROMIS® expert and ask questions about PROMIS measures and methods? Well, now you can! You are invited to attend PROMIS OFFICE HOURS. This will be series of webinars in which PROMIS experts in outcomes research, psychometrics and assessment are available to you electronically to answer your specific PROMIS-related questions. PHO members can attend any or all PROMIS OFFICE HOUR webinars free of charge. The agenda for each will be set by you and your fellow PROMIS users, so bring your questions and take advantage of this unique opportunity. Webinar information will be sent closer to the date.